RV Length 20ft. - 30ft. 31ft. - 40ft. 41ft. - 50ft. 51ft. - 60ft. 61ft. - 70ft. 71ft. - 85ft. 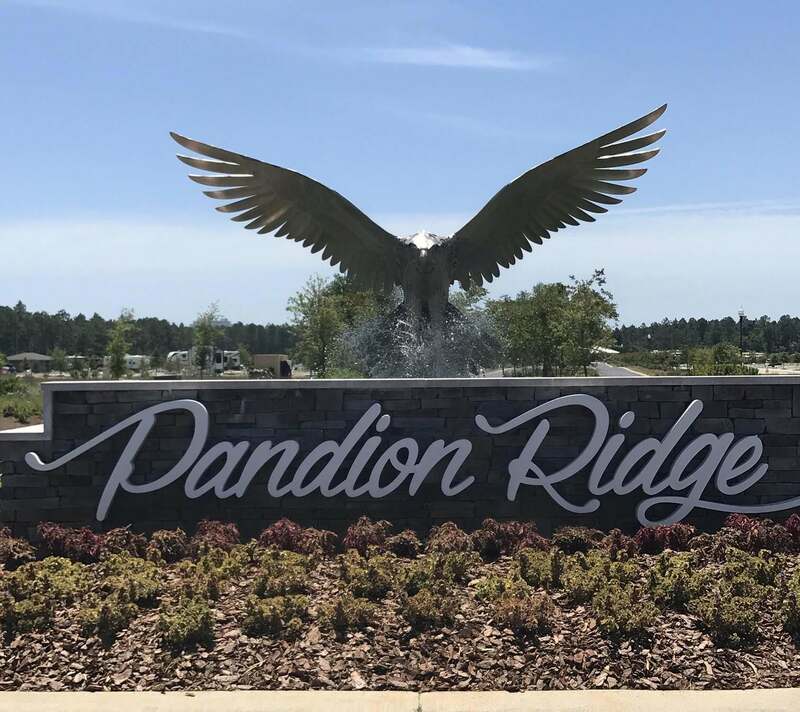 Pandion Ridge Luxury RV Resort features 30 landscaped and wooded acres surrounds this idyllic RV Resort in beautiful Orange Beach, Alabama. Sun-seekers, families, outdoor enthusiasts and visitors of all varieties gravitate to Orange Beach for its mild year round climate, breathtaking coastal views and relaxed, and carefree lifestyle. We have multiple site types for motorhomes, 5th wheels and travel trailers, no more than 12 years old. We are happy to take location requests, but do not guarantee a site number or location. Choose from: Premium Lake Front - Deluxe Pull-thru - Standard Back-In - Pine View Pull-In - Roadside Back-In 30/50 amp service, water, sewer, cable and WiFi available throughout the Resort. Please call us directly for monthly rates and information. We have a business center, fitness center, retail store, clubhouse activities room, pool (seasonal) and adult pool, hot tub, 2 fire pits, nature trails, bath houses and laundry facilities available on site.